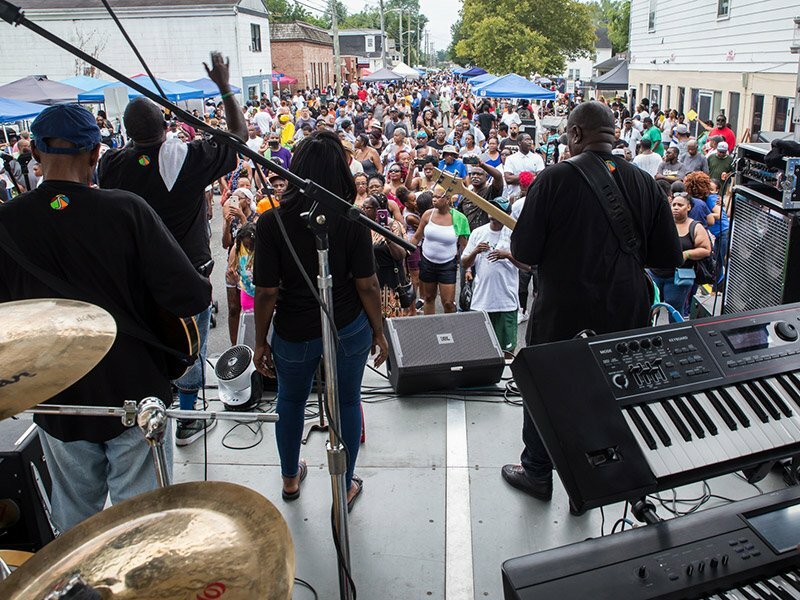 On Saturday, Aug. 17, Downtown Cambridge together with a committee of citizens present “Groove City Culture Fest: Celebrating Black Culture.” The festival will take place from 1 to 7pm on Pine Street between Cross and Washington Streets in Cambridge, MD. The event will showcase the history and culture of the African-American community, taking place in the heart of the historic African-American community, Pine Street. Attendees will enjoy live music, dance performances, inspirational speakers, food, vendors, and much more. The festival is free and open to the public. The Groove City Culture Fest is a revival of a Black Culture Day originally organized July 6, 1974, also organized by a committee of citizens. In 1974 the event began with a parade and included speakers, a play, dancers. Sponsors for live entertainment are welcome and may contact event organizers at culturefest@downtowncambridge.org for more information. More information about the event can be found at DowntownCambridge.org.